So you were busy coding on your workstation while you happen to knock your coffee mug and BAMM! You might have been gifted this carpet by your grandfather who is probably no more and you don’t want to lose his last gift to you. So you hurry up and rush to bring cold water and spray it on the affected part. But only the upper creamier layer gets removed while the stain remains. Consider making a call to Carpet Cleaning for Perth. One of the most common household problems is spilling tea coffee or cola on your designer carpets. This not only discolors its entire region but also refuses to vanish. You try detergents and mild bleaches but end up discoloring it more. Slowly the fabric gets sloshed and threadlike structures appear. Congratulations, it’s time to buy a new carpet. Our professional carpet cleaning services save you from the horror of investing for a new carpet. Your carpet floor is wet with water or coffee stains. We provide expert cleaning services all throughout Perth. For residents of Forrestfield WA 6058, our professional cleaning service providers visit their homes and thoroughly check the affected parts of the carpet. What to Do with Stained Carpets? There are numerous DIY techniques available online which provide a detailed insight into what to do when a considerable portion of a carpet is wet or infected with molds. 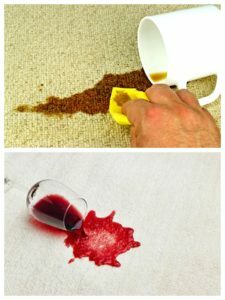 Say that you have spilled cola on your carpet and wondering how to get rid of. How can we come to the rescue? Steps that we undertake to make sure that carpet is still usable. Remember that the sooner you let us know, more are the chances that carpet can be revived back to its original form. We apply clean cold water to the affected areas of the carpet. If it’s a carpet floor, we may consider unpacking it from the floor and using water to remove the stains. Water clogging attracts germs and molds to grow on them. Certain chemical agents help absorb excess water from any soaked area. One of the most effective carpet cleaning techniques involves drying up your soaked carpet. This process might take a few hours depending on the humidity content. Residents of Forrestfield WA 6058 might consider consulting us for drying affected carpets soaked for more than 12 hours. Most of the DIY techniques require extreme precision. Drying techniques that you may be trying might not be effective due to lack of patience. Let our professionals help you. Many households lose their costly carpeting floors to water and coffee stains in an attempt to save money. They end up spending huge amounts on new carpets. We have the right set of equipment and tools to tackle staining problems. If you want complete restoration and let our experts at Forrestfield WA 6058 do the same, you also save a lot of your time. Hire our professionals to clean up your carpets. Carpet Cleaning Services for Perth experts understand your need more than anyone else. We have trained professionals who have got years of experience dealing with the most notorious stains. It gives you great pride when your guests use your bathroom and express their desires to install the same type of designer tiles that you have installed. But let’s face it. It’s a challenge to retain the beauty of those ceramics. Considering the location of your tiles (typically in kitchen and shower), experts recommend taking proper tile and grout cleaning on an everyday basis. Professionals from Carpet Cleaning for Perth are ready to take up that challenge on your behalf. You may be wondering why you need a professional to clean your tiles when it looks like an easy job. It has been months since you last attempted cleaning the tiles yourself. Households do not generally get the time nor the right set of tools that you require while cleaning grouts. Products available in and around Forrestfield WA 6058 promise adding shine to the tiles. Most of these materials contain wax. Over time, this accumulates between the pores of these tiles and they end up looking dirtier than before. 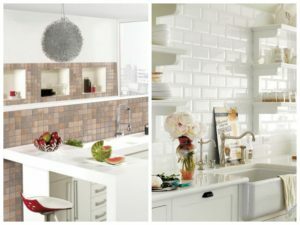 Tile and grout cleaning professions recommend a regular checkup of these tiles and washing these with clean warm water. This removes the existence of molds and fungus which grow over time. Tiles and floors should be handled with care and you must make us of cleaner materials to get rid of the dirt. Sand and oil destroys the tiles from its very pores. In a hot and humid city, say Forrestfield WA 6058, water seeps down into the tile pores and cause cracks and vents. Accept the fact that it is not possible for a household to look after each and every tiles. Customers often inquire about proper usage of chemicals and equipment’s that might help them clean the grout molds from its very roots. Cleaning tiles can be a very hectic job. It requires manual labor and the right sets of cools and chemicals. Remember that using bleaches and acids might destroy the tiles and let them lose their valor. Grouts are made to resist water and oil spills but the grout lines and intersections are not. Over time they lose their glaze and it starts discoloring. Hiring us will enable you to treat these damages properly and restore the shine and allure of it just like before. So you plan to fit in a set of furniture inside your kitchen and they strike against the ceramics. This might result in permanent dent marks or discoloring. Avoid crowding in places where ceramics are fitted. We, Carpet Cleaning for Perth make sure that you do retain the pride you task while referring to your designer ceramics. Avoid doing it yourself or hiring Forrestfield WA 6058 cleaning agents, they may end up doing worse. So simply hire us without thinking too much! Many us take pride in flaunting the new set of leather upholstered sofas and armchairs. It’s always nice to be around cleaner couches and tidy linens but the question lies somewhere else. Regular Upholstery cleaning techniques hardly play their role in cleaning your upholstery from its very roots. Save yourself all that trouble. Hire experts from Carpet Cleaning for Perth and see them getting transformed like they are new. 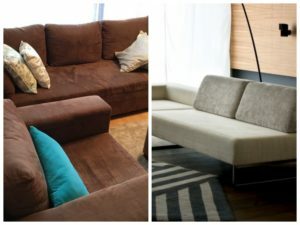 Basic Upholstery cleaning techniques require extensive research on the type of materials which needs cleaning. For example, if you are concerned about your furniture, you may want to mop them up once a week. Professionals ponder on identifying the unclean towels and mattresses and wipe out the dust that gets collected. Trust us while we say this that upholstery cleaning is a tedious job. You need to know the type of materials and the most effective ways of treating each of them. Vacuum clean each and every upholstery attachment with proper care. Vacuum cleaning helps reach out to each and every pores of bed linen and wipe out oil and dirt. But often we observe customers overdoing it. Spills of any kind are detrimental to your upholstery’s future. Say that you are from Forrestfield WA 6058 accidently spilled coffee on your study table which soon spread over and creates stains all over the table. Blot dry the liquid from the table and remove the excess using plain dry cloth. If simpler techniques do not work, you can take the help of cleaning solvents. Take care so that the varnish does not get eroded. Avoid using chemicals on softer fabrics. Do all these techniques give excess pain because you are lazy to spend a plethora of time on cleaning? Well, most of the customers who come to us accept the fact that day to day cleaning requires knowledge and adequate time. That’s right. You are at the right place. If you are residing in Forrestfield WA 6058 and are afraid to wave your furniture’s goodbye, call us immediately. Our technicians at Forrestfield WA 6058 will make a list of all the materials required for cleaning. Based on need, we will decide whether particular furniture needs preliminary cleaning or detailed cleaning. Give your furniture all the love and affection that they deserve. After all, it’s not possible to replace them over and over again. Call our experts from Carpet Cleaning for Perth and save your upholstery from dying an untimely death. Avoid wasting time on trying out the DIY techniques all by you. Experts are of the opinion that it is better to directly hand over the unclean upholstery to them rather than trying your hands on them. This raises the chances of a successful comeback. Professionals at Carpet Cleaning for Perth take every care to examine each and every disabilities that have occurred and sources of obnoxious odors. Be it your carpets that are affected by mold growth or furniture that is rotting or tiles and grouts that are stinking, we take care of everything. You pay no more than what we deserve for our services. Whichever part of Forrestfield WA 6058 you are from, we ensure you that you will come back to Carpet Cleaning for Perth every time you feel the need to. Seeking Carpet Cleaning, Upholstery Cleaning or Tile and Grout Cleaning in Forrestfield WA 6058? Call us now on 0424 470 460.